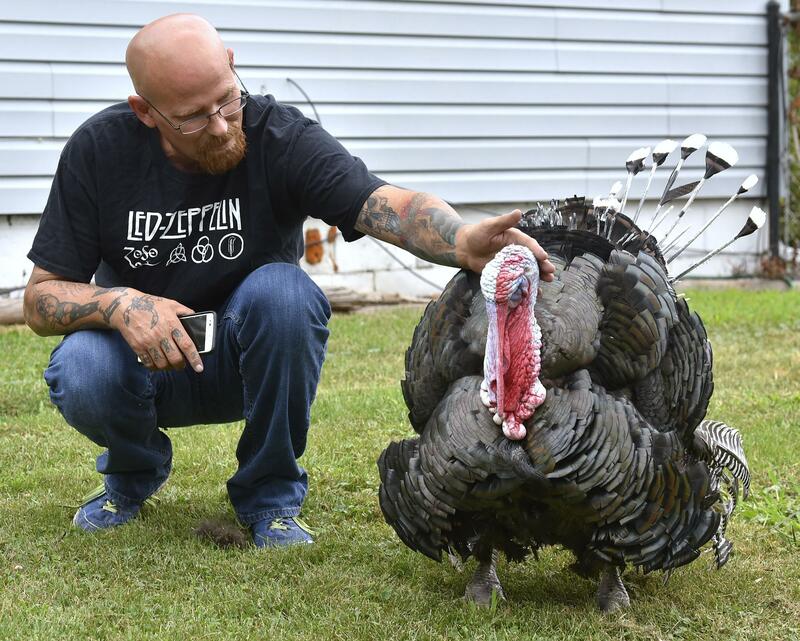 GARDEN CITY, Mich. – A suburban Detroit man who found himself facing fines after a wild turkey moved into his overgrown backyard has made friends with the large bird. The city eventually dismissed the turkey ticket since Johnston wasn’t keeping the animal as a pet, the Detroit News reported. Johnston is still fighting the other one. Meanwhile, the turkey remains in Johnston’s yard. Johnston said that as far as he’s concerned, the bird can stay as long as he wants. Johnston previously hunted turkeys but said he’s given it up, considering his backyard guest. Johnston’s neighbors don’t seem to have a problem with the turkey, which they said isn’t too noisy. “It’s crazy. (But) if the turkey likes it and the guy likes it, leave them alone,” said neighbor Sandi Canning. Wild animals can only be moved if they’re a nuisance or a threat, said Holly Vaughn, a spokeswoman for Department of Natural Resources’ wildlife division. Published: Aug. 3, 2018, 1:08 p.m.